Well, this is pretty novel... 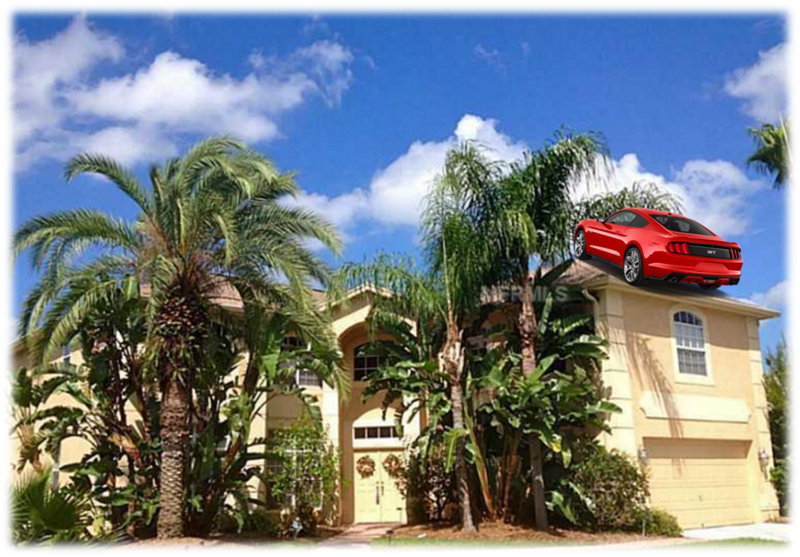 I often complain to my wife that even with the million dollar views and living in what is one of the nicest, safest and friendliest communities in all of Florida, having a two-car garage is tough when we need to park my 2015 Mustang GT and her 2015 Ford Explorer side-by-side. It's a tight squeeze! Whenever we park either car in the driveway, we have the kids complaining because they want to shoot hoops with their neighborhood mates. However - this is exactly what happened recently in Shiawassee County in Michigan. Described by the home owner, 83-year old Joyce Kingsley, there was a loud "kaboom". At first, she mistook it as thunder... that was until she moved her line of sight towards the roof of her home. The driver of a Ford Mustang had parked their car smack-bang in the middle of her roof! According to police reports, the errant driver had suffered from some kind of medical problem related to low blood sugar, lost control on Interstate 69 and ended up where he (or she) did. The driver was otherwise uninjured. Ms Kingsley's home is about about 20 miles northeast of Lansing and built next to a hill... with the roof sitting almost level to the ground. In her statement, Ms Kingsley said, "I was just watching TV inside. I had it up pretty loud — but this was much louder." 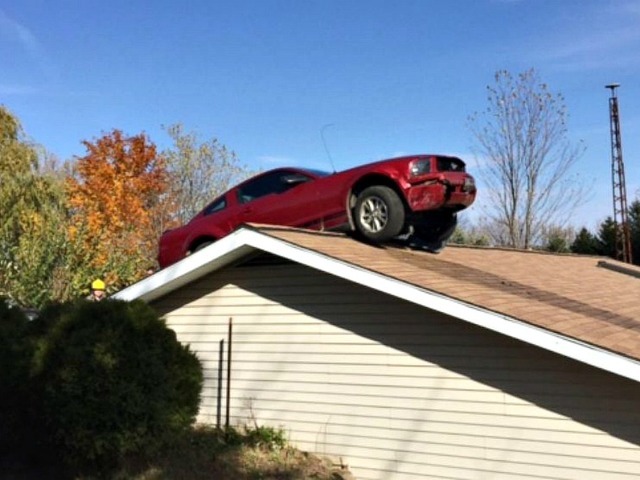 State police said that the Mustang, before stopping on the roof, traveled through several trees, bushes and even a fence before stopping on the roof. Trooper Ben Rowell said, "The driver is extremely lucky... it could've been a lot worse."